There is little point in me doing, as originally planned a post about every single swim, for Arthritis Care, but I will summarise the past three months. 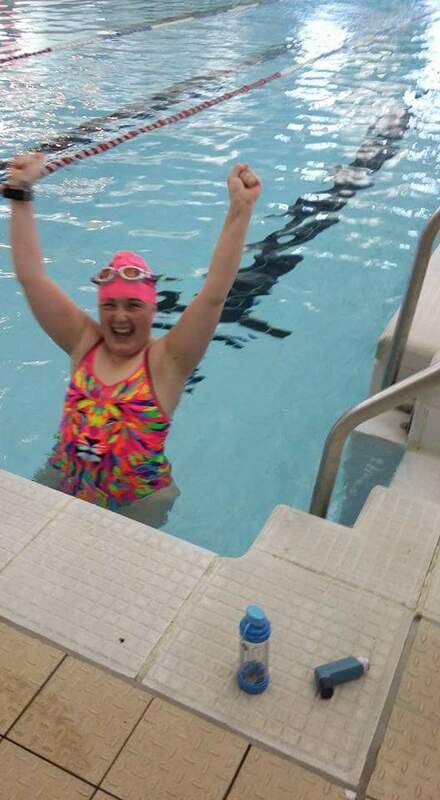 On the 8th April, I partook in Marie Curie swimathon. My swim, though, didn’t go quite as I’d planned. On the day in question I woke with the start of, what wato transpire to be, a heavy cold which then developed in a chest infection and resulted in a severe exacerbation of my asthma, This swim, was to be my last swim, for three weeks. Despite this, I still swam it, in 1 hour 24 minutes and three seconds, smashing my previous PB for 2.5km and swimming nearly six minutes, under the time my coach, told me to aim for. My previous PB was 1 hour 50 minutes and 28 seconds. I have my tee-shirt and my medal, the medal I display with pride and the T-shirt I wear with pride. Unfortunately, it’s white and on the first wearing, I dropped curry down it, no amount of soaking and washing, have shifted the stain! Going back, to the swim itself. I swam it at “Chester le Street Pool” near Durham, the dated interior and freezing waters, where more than made up for, by the amazing staff. They shouted, cheered and hollered me, to the finish line. I was the only one, taking part, but that didn’t stop them making an effort. My final lengths were swam with, “Calvin Harris, This is what you came for”, blasting out. it was particularly meaningful, as the pool who I had previously booked it, to swim it at, cancelled at the last minute “as not enough people “had signed up”. This was planned, to start on the 13th April and was my much anticipated and planned “marathon challenge”. I reluctantly, had to pistpone this challenge, due to my asthma. Finally, on the 4th May I started, only 5 days after my enforced 3 week break, on account of my asthma. It goes without saying, it was incredibly tough. I had to make a lot of sacrifices and I hated, how it led to me feeling that I was putting swimming, before my friends. I had to be so focused and disciplined. Arthritis Care Week was the 8th-14th May 2017, my plan was to swim at least 10km, during that week. This equates to an Olympic Swim Marathon-in the end I swam 13.1km during AC week. The other aspect, of this challenge, was to swim the equivalent distance of the London Marathon, from the 4th May-4th June. Two and half weeks, into my challenge, I came into contact with two people, with colds. I knew a cold, would destroy any chance I might have of completing my challenge, so I made the decision to complete it as quick, as I could. I pushed myself hard, to hard, swimming 15km in just 5 days. I also finished on Tuesday 30th May-5 days early. It was a brilliant evening , several members of the branch, sat at the side of the pool encouraging and supporting me to the end. Then the celebrations began, wine and procesco was drunk and congratulations given. I totally crashed, after this. I slept much of the following and mt arthritis went into a massive flair up, but it was so worth it. The sense of achievement, is amazing. My coach often states that we often don’t do things, because our mind tells us, we can’t, but often we are capable of doing far more than we believe we can. This was certainly true, of this challenge. Despite severe asthma, for which I’m on 10 different medications, polyarthalgia/osteoarthritis, gluteal neuropathy and significant muscle damage to my back, I swam over 26 miles (42200m) in three weeks and two days. I couldn’t, however of done it without the support of my friends and members of Arthritis Care. During this challenge I threw in lots of micro challenges, I improved my front crawl distance, from 200m to 1500m and I am regularly doing half a mile, freestyle sets, now. My next plan, is to add tumble turns, into this. My one mile PB is now 47 mins and a few seconds and my 2km PB sits at just over a hour, by a few seconds. Fourteen months ago, my one mile PB was one hour and 8 mins, so this represents, huge progress. 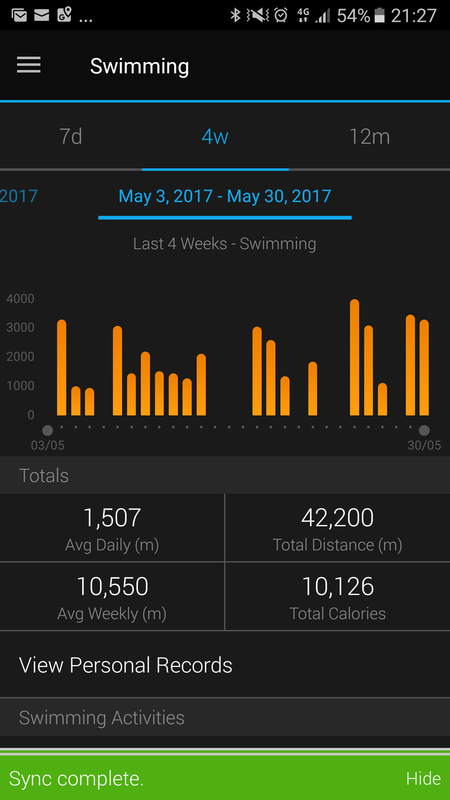 I also completed my longest distance swam, in one session, 4km. This wasn’t swam, without stopping, but only took 2 hours 50 mins to complete. My next aim, is 5km. 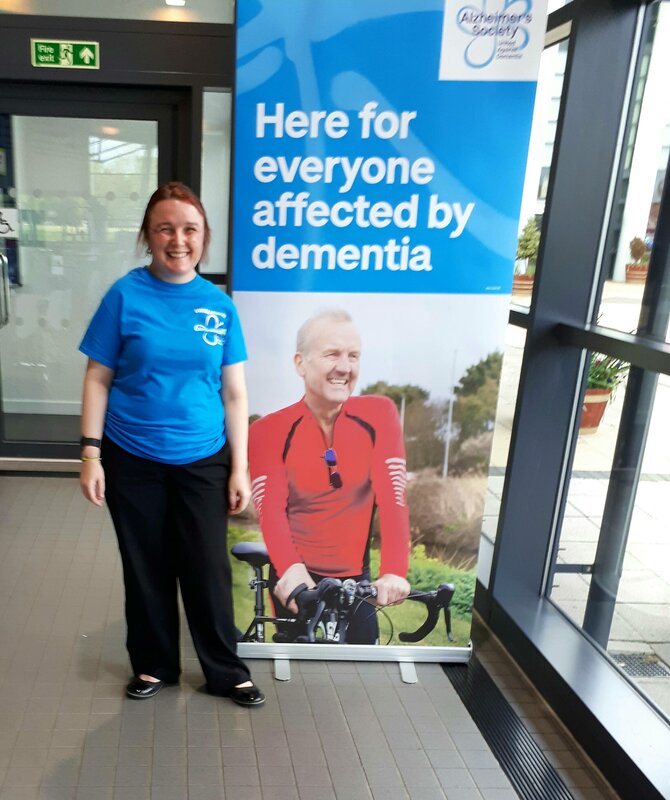 Then, finally, in the middle of May, I took part in the “mile in an hour challenge” for the Alzheimer’s Society. 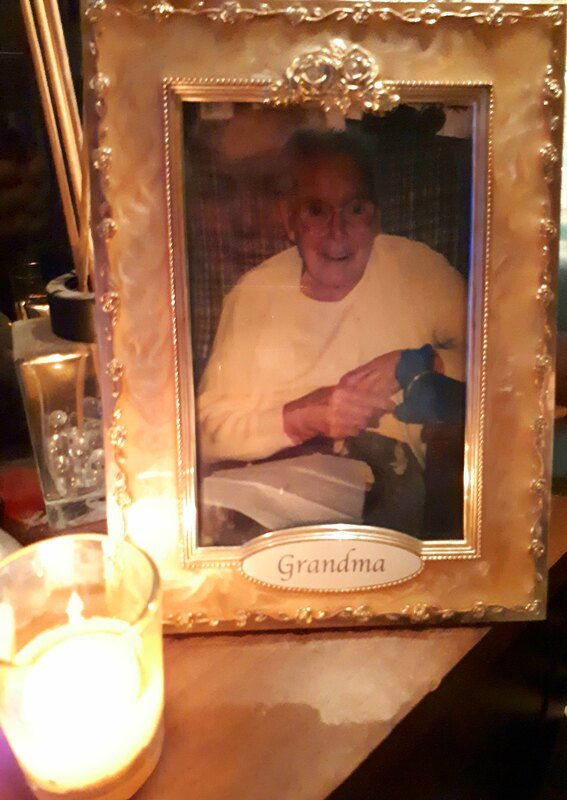 I swam this, un memory of my amazing grandma, who suffered (and I mean really suffered) from Alzheimers Disease, prior to her passing in 2003. I was, initially, a little disappointed with my time of 50mins and 35 seconds. My total swim distance, in the hour was 1900m, I’d aimed for 2000m, however it was a tough swim. The pool lacked “anti-wave ropes’, with at least 12 people in the pool, it was, at best, choppy, making swimming harder work. It also meant, that when freestyle (frontcrawl) breathing, I was often hit, with a faceful of water. It also didn’t help, that midway through, someone swam into me, head first, resulting insome minor bruising, it was more of a shock and took a while to get back into the pattern of swimming. So that is currently, where I am up to. Hopefully, my next post will appear, a lot quicker than it took me to post this. For the past three weeks, I have been forced out of the pool, by a viral chest infection and subsequent exacerbation of my asthma. My asthma, has slowly improved as my lungs have recovered from the infection, that had taken up residence there, but my airways remain a little grumpy and irritable, like they haven’t quite, fully forgiven the bugs that invaded them, uninvited. On Thursday, I was considering heading back to the pool, but I woke up at 6am on Friday, coughing, they then threw a bit of a tantrum, in the evening, when visited a friend, whose neighbour has a “wood burner”. In reality, it’s a “whatever crap you’ve got burner”, I don’t know what he was burning last night, but it certainly didn’t smell like burning wood and my lungs didn’t seem to think it was either. Sitting at my neighbours dining room table, puffing away on my nebuliser, I sent a text to my coach, that I wouldn’t be attending training tomorrow morning. He replied that he understood, but encouraged me, that if I felt up to it, to attend training anyway and he would set up a “re-habilitation and recovery training set for me”. I awoke this morning, at 6am, the first thing I noted was that I was experiencing a significant amount of pain, resulting from the arthritis in my spine. Neither paracetamol nor codeine fully alleviated the pain. My lungs were also grumpy. I had two, perfectly valid excuses not to swim. That however, was precisely what they were, excuses. It’s too easy to resort to excuses, when you like the idea of doing something, but in reality, don’t really want to do it. Most things, can be overcome, with a little determination and adaptability. My spinal pain could be managed, even if couldn’t be eradicated and I knew from my peak flow, that though my lungs were grumpy, my reading was reasonable and at a safe level, to swim. I would just need a larger dose of Ventolin, before getting in the pool, as to support them. I knew they weren’t well enough, to cope with an all out, hard training session, but that wasn’t the aim of todays swim. So, I headed over to the pool, I was greeted by my coach, who informed me that I was going to be doing a straight set. Twenty, individual lengths. That was it. I felt like I was playing a huge game of snakes and ladders. Over the six weeks, leading up to the infection, I had made great progress, rolled lots of “sixes” and climbed a few ladders, but had now slid down a massive snake and landed very low down the board! I climbed in the pool, spoke to my lane buddy, and put my goggles on, ready to set off only to be met with a resounding, ping followed by my goggles falling off my face. Confused, at first, as to what had happened I inspected them and realised that, despite only being a few months old, they had broke. Like most swimmers, I suspect, I don’t carry a tube of superglue in my kit bag, so like a scene, from the Australian drama, Barracuda, I fashioned an emergency repair and got on with it. The swim proved hard, I’ve lost strength from my arms and overall fitness, in addition, my lungs are still, not fully recovered. Consequently, it was an exhausting effort, even swimming two lengths, with a 10 second gap, in between each length. It’s incredibly frustrating and I know I have to commit to a lot of hard work, in the coming weeks, to get myself back to where I was. There were a few times, when it was all I could do, to stand at the end of the lane, gasping for breath, resulting in the life-guard wandering over to enquire if I was alright. I tried to reassure him, that I was fine and that I knew what I was doing, I don’t think I was very successful though. After 20 lengths, I’d had enough, I was tired and I felt sick. I wanted to get out. 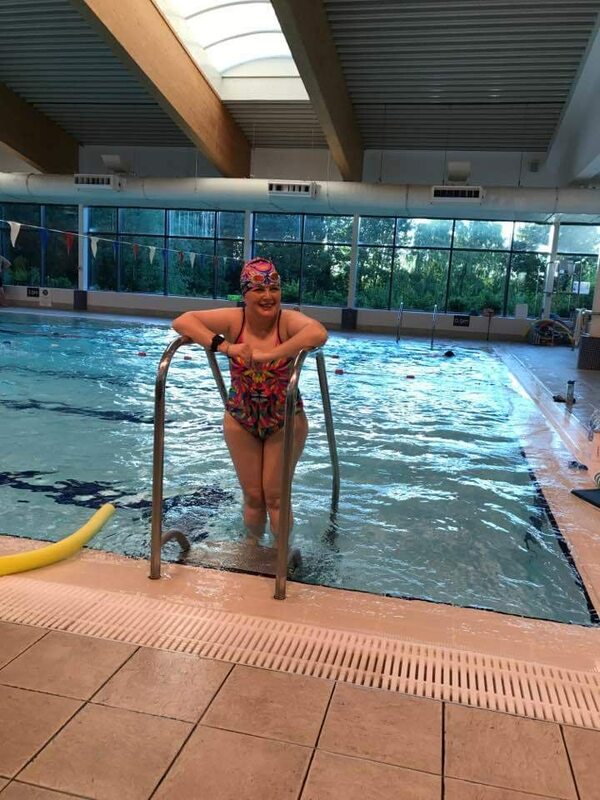 However, there was 10 minutes of the session to go, not wanting to give up, even at this early stage, I decided to try and do a couple more lengths. I am nothing, if not determined! I reflected back, to the two swims I had, had directly prior to becoming unwell and recalled, how on both, I was able to do more than I had thought possible (I will blog about this soon!). I wanted to do the same, again. I managed another couple of lengths, my coach enquired how I was feeling. I explained that I had completed my 20, but wanted to try for a couple more. “Ok” he replied “no more than 30”. Thirty, quickly became a figure in my head, to aim for. Twenty soon became twenty-two, then twenty-four, twenty-six and then twenty-eight. Two to go, my chest was tight, my arms ached, I found it hard to believe, that what for me, would of been an easy swim, three weeks ago, could be so tiring and challenging now. I was absolutely determined in my focus, I would reach thirty. Head down, looking at the bottom of the pool, streamlined position, kicking from the hip, knees straight, with arms reaching forward, each arm pull, bringing me closer to my goal. Twenty-nine and then onto my final length. Half way, through the length, I started to struggle, but knowing that this is where I have been before, several times, I kept going and reached the end of the lane. I was disappointed, yet happy with my swim, but I am back in the pool. It will take hard work, determination and focus, to get back to where I was, only a few short weeks ago. I feel really quite uncomfortable, swimming, but I know that is down to the loss of physical fitness, its a brick wall I have to get through. I can either give up, or keep going. Giving up, has never been an option for me. I will keep going, I have a training plan, from my coach, which if I stick to, should see me, hopefully return to my previous level of fitness, within a few weeks. I need to, as Dory, in Finding Nemo, once said “just keep swimming, just keep swimming”….